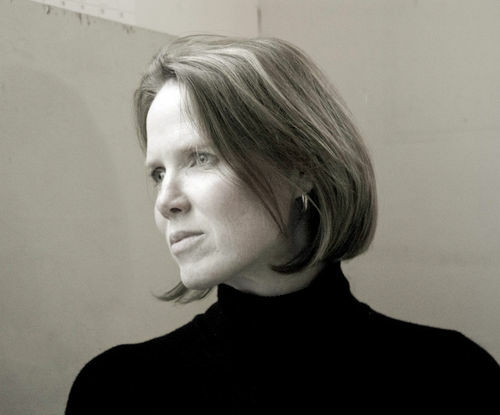 Ellen Scobie was born and raised on Vancouver Island. She studied fine arts at the University of Victoria, the University of Manitoba (BFA) and the London College of Printing in England. 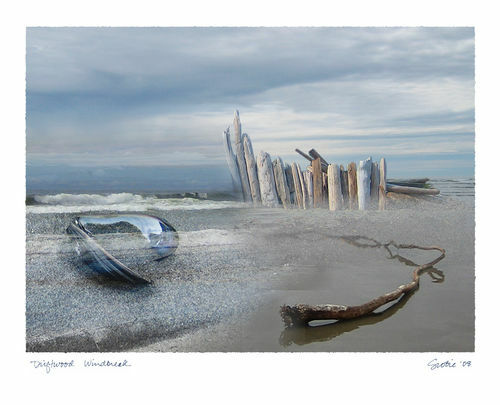 The ocean and mountain landscapes of BC and the textural beauty of nature provide inspiration for her contemporary photographic compositions. 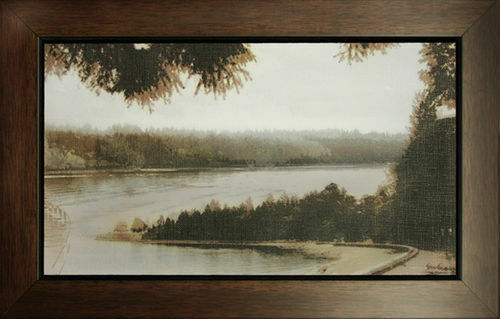 The spectacular, snow-covered North Shore mountains provided the inspiration for this composition. I created the montage from photos I took of some of my favourite places - Kitsilano Beach, Jericho Beach and the "dog's beach" near the Maritime Museum on Vancouver's west side. Title: "Memories of Stanley Park"
The old growth forest of Stanley Park in downtown Vancouver reminds us of the landscape which once dominated the West Coast for millennia. Towering, ancient trees grow steadfastly season after season. At times, some will succumb to savage winds and storms. But the forest resolutely continues on its cycle of growth, decay and renewal. Creating temporary shelter from the ocean's breeze, this driftwood windbreak juts into the west coast sky. The long, brown seaweed, Bullwhip Kelp, slithers; its tail can grow to 40 metres long. Fine sand hugs the distinctive tear-drop shaped mussel's pearly inside. 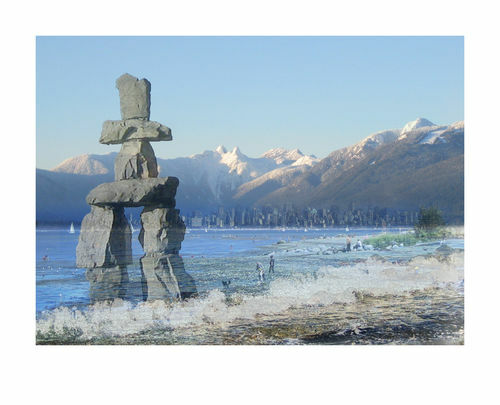 Title: "Inukshuk at the Beach"
Iconic views of Vancouver are creatively blended to create one memorable scene. The Inukshuk sculpture in English Bay, the inspiration for the 2010 Winter Games logo, imaginatively stands in the waters of Spanish Banks on Vancouver's west side. The city skyline in the distance is nestled at the foot of the snow-topped "Lions" (1654m) - the twin granite domes resembling resting lions in the North Shore mountains. To the right, a ski slope at Grouse Mountain is visible in the hills. 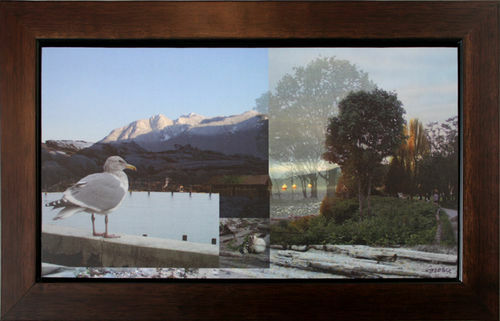 Some of Vancouver's favourite spots are memorably montaged into this new perspective.